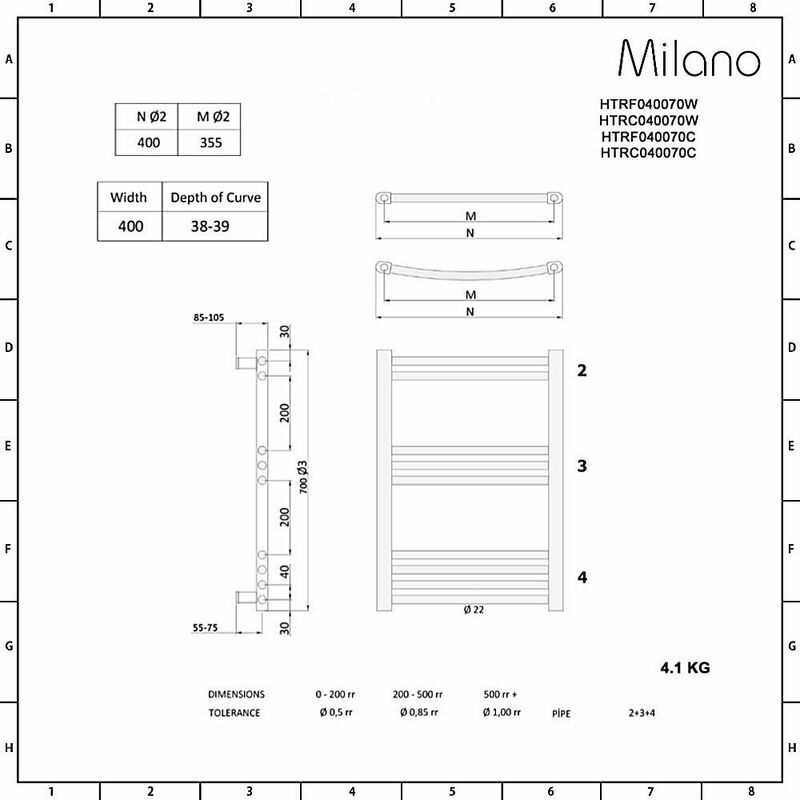 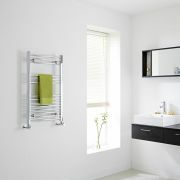 The Milano Ribble 700mm x 400mm curved heated towel rail will bring a touch of designer style to your bathroom. 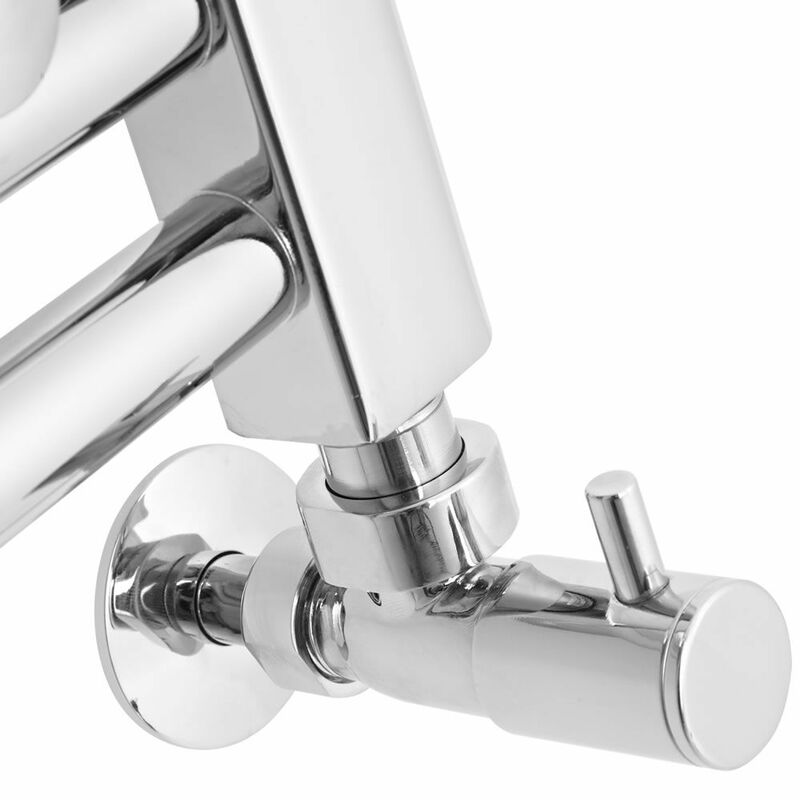 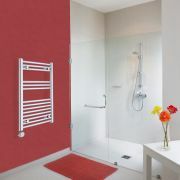 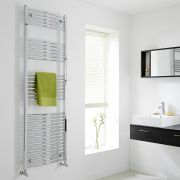 This heated towel rail is compact enough to be used in en-suites, cloakrooms and small bathrooms. 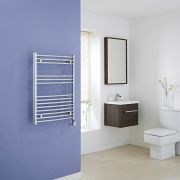 It has a stylish curved design and a hard-wearing chrome finish that blends in easily with any bathroom décor. A great heat output of 734 BTU’s will ensure your towels are quickly warmed through and the bathroom is kept at a comfortable temperature. 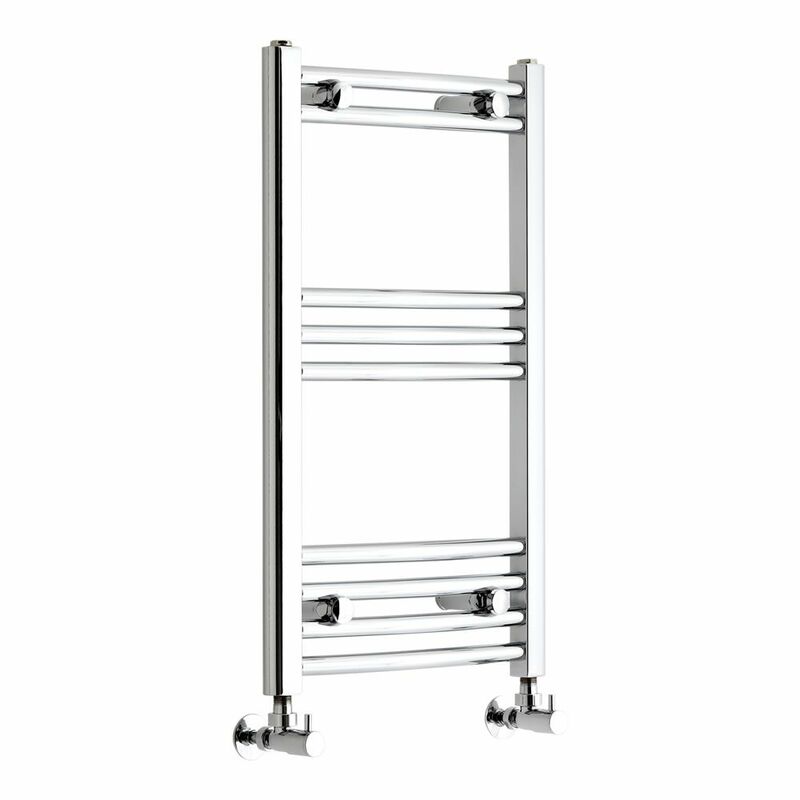 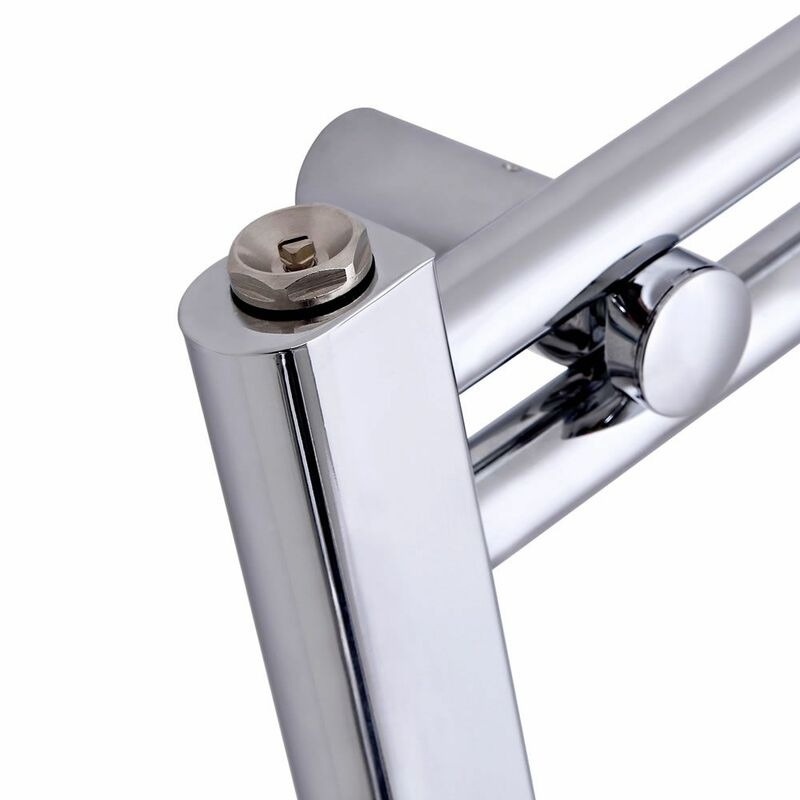 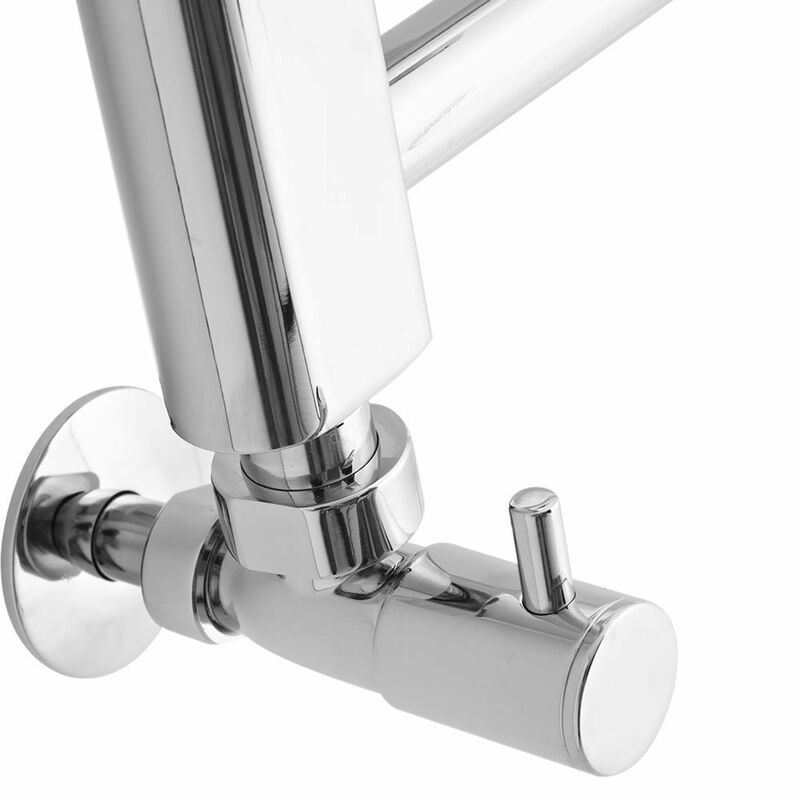 The heated towel rail has been made using the highest quality materials, so you can be assured of great durability.